You won’t believe what I’m about to tell you, but if you mix folklore, Halloween, midnight and youth together, you’re bound to come up with an adventure. And I’m going to tell you a story about my adventure and my brush with local folklore that happened one Halloween night a long time ago. In the place where I grew up, there is a lot of folklore, but none as gruesome or scary as the tale of Gore Orphanage. Located on a lonely, country road called Gore Orphanage Road, all that remains of Gore Orphanage is the stone foundation and rubble now overgrown with wildflowers and brush and covered now and again with a hundred years worth of leaves. It is a peculiar place. If you venture back to where rubble lies, you will encounter areas of deadfall, and if you’ve read Pet Sematary (Stephen King) then the word deadfall should make your heart beat a little faster. But what I’m about to tell you will do more than make your heart beat a little faster, if I am am crafty enough to tell my story the way it really happened…your hair will stand on end. According to legend, in a remote rural area in southern Lorain County Ohio. about 5 miles southeast of the sleepy village of ,Wakeman, there was an orphanage that once was home to over 100 children. One night, depending on which version of the legend you have heard, the orphanage was set afire by Native Americans as an act of revenge for the white man’s killing of Native American women and children. Another version is that the orphanage was torched by a crazy man. In another version, the fire started accidentally. In another some of the orphans started the fire while playing with matches. Regardless of the version, the one common thread all of the versions share is that if you visit the site of Gore Orphanage on a certain night – at midnight – you will hear the terrible screaming of children as they burned in the inferno – the screams of the dying and the screams of children whose flesh was scorched and whose faces were burned beyond recognition. The children who survived the fire were said to wondered aimlessly around in the woods which surrounded the orphanage, screaming in pain until the finally succumbed to the burns. Some versions of the story of Gore Orphanage say you can hear and see the ghosts of the children just about any night at midnight. But most versions of the story required you to visit the orphanage on the night the fire was supposed to have occurred – October 31 – Halloween. The legend I believed when I was teenager was the one in which Native Americans set the orphanage ablaze as an act of revenge. And it just so happens, that in the legend I believe, the fire started on Halloween night just before midnight. And if you were brave enough to venture out to what was left of Gore Orphanage on Halloween night at midnight, you could hear the screams of the children…and if you looked hard enough you could see their ghosts. When we’re kids and there is a tale as persuasive as this, we just can’t resist. The allure is too strong – and we never wanted to appear to be afraid – we never wanted our friends to know we were not as brave as we pretended. One Halloween night, just after I had gotten my driver’s license, two friends of mine and I decided to go to out to Gore Orphanage and see if the legend was true or not. We laughed about it actually – we didn’t believe the stories we’d heard of ghostly children meandering about the woods screaming in pain from a fire that occurred over a century ago. But, I think, deep down we were all a bit scared of what we might hear, and ever more afraid of what we might see. If any of us were fearful, we sure didn’t want to let each other know. But I will tell you this, I was scared to death. I don’t know if I was afraid of the ghostly children or that I might actually see them and hear their desperate screams and think that I had gone insane. It took us about a half an hour to drive out to Gore Orphanage Road. Just the fact that they’d named a road after it seemed to give the horrible story some credence. If you think about it, if the orphanage was just an average old orphanage and no tragedy had really happened there — why would they honor it by naming a road after it? That meant to me that the story of Gore Orphanage was true. The closer we got to the site where the orphanage once stood, the more apprehensive each of us became. Of course, we were joking about it – even making fun of people who had told us they had been there and heard the screams – some had even seen the ghastly ghostly children wandering around in the woods near the orphanage — poor burned children wandering aimlessly and screaming in pain. It was just a little after 11:00 p.m. when we arrived. I parked my car along the side of the road and we got out and sat on the hood and waited for the midnight hour to arrive. There were several other cars that came after we did and several others that were already there when we arrived. We watched more and more cars as they arrived and pulled off the road and parked. Some of the braver souls – like us – got out of their cars to watch; the more timid preferred, I guess, to watch from the perceived safety inside the cars. But not us, we had a front row seat and we were eager to prove how brave we were. But I think we were all a little scared. I know for sure that I was. About five minutes to midnight, in the woods that surrounded the ruins of the orphanage, there appeared several greenish-yellow lights dancing like fireflies – but there are no fireflies in Ohio at the end of October. Flashlights? Must be flashlights Flashlights belonging to some brave curious souls daring to walk right into the mouth of fear. We were brave, but none of us were that brave. What if they were not flashlights at all? What if those lights are the tortured spirits come to revisit this, their place of terror and awful pain. What if those odd, dancing lights were the eye of those poor children, now long dead? If they died such a horrible death then maybe their spirits cannot rest until every last stone and timber of Gore Orphanage has been removed from this haunted and restless ground? These are the questions which swirled through our minds that Halloween night long ago. The bobbing, dancing, weaving yellow-green lights did not come any closer nor did they more farther away. They were menacing and eerie and they made my skin crawl. It was as chilly, damp, odd October night and in the minutes just before midnight the light breeze that had been blowing grew into a gusty wind. The now leafless branches swayed in the wind – creaking and cracking – adding to the feeling that some awful thing was about to happen. A foreshadowing of events yet to come. And owl hooted. The hour had come. Midnight. The lights darted and the branches cracked in cool gusts of wind. Faintly we all heard something – faintly, in the distance. Children screaming? Children weeping. The sound of rushing rustling and eerie screeches painted the night with a soundscape of sheer terror. I swore I could see the ghostly bodies of young children running away from the horror of this night. But there was no fire; nothing smoldered in that deep forlorn forest. Nothing but the terrible screams and horrible screeches – and those odd dancing lights. You could almost feel the sorrow and woe of the restless spirits of children robbed of their future, their lives snuffed out by the inferno started by vengeful men long ago. It was about ten minutes past midnight and we’d all had enough…so in the early minutes of the first day of November we got on the car and headed south on Gore Orphanage Road and turned right onto State Route 113 and headed for home. It was a very quiet 35 minute drive. No one said a word. We all were afraid to believe what we had all just seen and heard. We are all just plain afraid. That was decades ago, but many times I still pass Gore Orphanage Road on the way to somewhere else. Every time I do I still wonder if people still travel to the spot of where the ruins of the orphanage lay to hear the screams, see those mysterious lights, and feel the restless spirits of children who had their futures and their lives senselessly stolen from them, on a sad Halloween night, long ago, by some horrible fire whose origin still remains the subject of speculation to this day. I will never forget Gore Orphanage or Gore Orphanage Road. I have been to the ruins several times in daylight and climbed King’s Mountain — actually just a big, steep hill — and stood at its peak and surveyed the scenery below. But I’ve never been, nor will I ever go, back to Gore Orphanage on Halloween night. 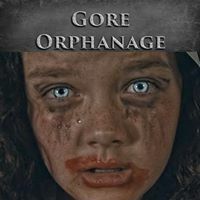 When I started writing this I was not aware that they are making a movie to be released this year called Gore Orphanage. If you’re interested in learning more about the movie, visit this page. And finally, the real history of Gore Orphanage is very different than the lore. The myth surrounding the place called “The Gore Orphanage” has been circulating throughout northern Ohio for nearly a century. Generations of youngsters have flocked to the site claiming to hear the voices of orphan children they believe died when a fire burned the orphanage to the ground in the early part of the 20th century. This tale, however fascinating, is untrue. While there was an orphanage in Swift’s Hollow on Gore Orphanage Road near Birmingham, Ohio it was not called the Gore Orphanage, it never burned, and no one lost their life in the facility from fire or any other cause. Read the rest of that interesting article here. Growing up in Northern Ohio now isn’t much different than it was when I was a kid. Where I live, the legend of Gore Orphanage is still very much alive.and still intrigues high school and college student…some of whom will venture out to Gore Orphanage Road and wait and watch just like I did all those years ago. Perhaps, if the movie “Gore Orphanage” is a hit, things will change and people from far away will come to see what I saw as a very man – or perhaps all they will hear will be the creaking of the brittle autumn branches, the woosh of the wind and the haunting hooting of the owls. Shades of Bloody Bones my favorite ghost story . my Grand Mother could tell it so good I could actually see bloody bones walking up the lane to the house . And yes with blood dripping off his bones ,. That was well written I could see the lights and hear the screams myself Good job . Wow…..I was reading your newsletter, gleaning Windows 10 info when I happened to see the Gore Orphanage name. That caught my attention, as I grew up in Lorain County also. I vaguely remember my mother pointing out where the orphanage was (or used to be) can’t remember which. But I never had heard the tale you told about it.